When we were at the mall the other day, Nora decided to try out her super model poses! I really like the dresses she is posing in front of. When we were at the garden centre on the weekend, there were so many pansies about. Do you know what one of those is? I didn't either. 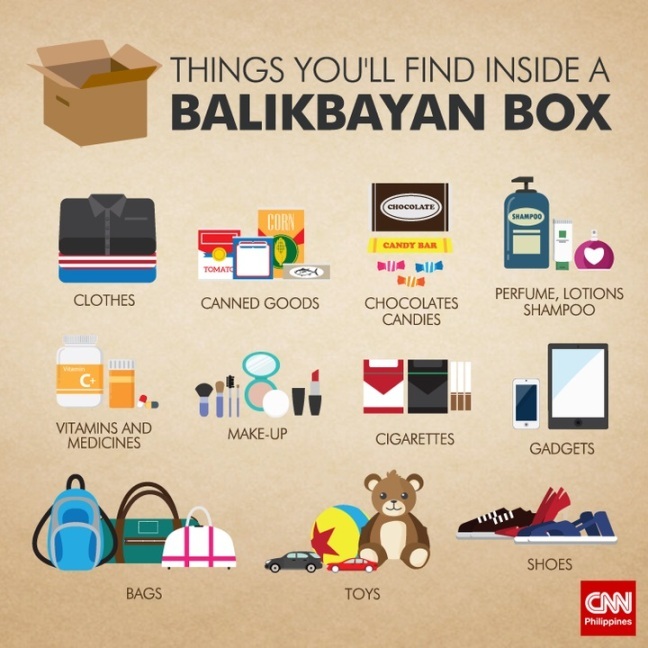 "A balikbayan box (literally "repatriate box") is a corrugated box containing items sent by overseas Filipinos (known as "balikbayan's"). 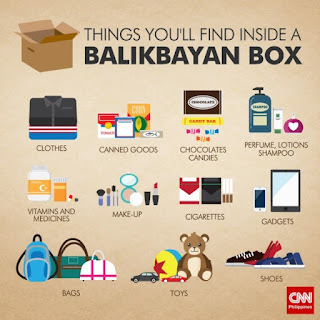 Though often shipped by freight forwarders specializing in balikbayan boxes by sea, such boxes can be brought by Filipinos returning to the Philippines by air." I was reading an article in our newspaper about how there is a new school curriculum that engages Filipiono-Canadian students with lessons on immigrant life and culture. They watched a documentary by Alex Humilde entitled "Balikbayans." I tried to find information on this documentary but came up empty handed. 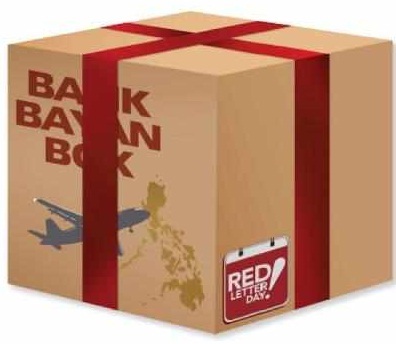 I know many immigrants send money back to their home countries to support relatives, but didn't realize there were businesses set up especially for sending boxes back. When we first came to Canada we used to send gifts via mail for all special occasions. However due to the rising price of shipping I don't do that very often now, I tend to order online and ship directly from the UK. However I did send a package over to my mother last Wednesday and she got it in Britain on Saturday morning. Fast or what! So this was my new thing I learned about on Monday. Always good to start your week off by learning something new, right? They must be the new "in thing" at the moment as there was an area dedicated to them at the garden centre. I took a few photos as I thought they were really neat. This one was $39.99 so the one above would probably be $300 or more. I loved the green accent on these ones. I don't think they would be too hard to make? I should mention it to dh to see about making one for me. This one is a ladybug/ladybird house, something I had never seen before. Do you have an insect house? As I told you the other day I was making myself a bag. I am a HUGE fan of Vera Bradley bags, so this is my take on that type of bag. I used this pattern for the basic shape and altered it to suit me. I added a tie detail on the sides, as I have that on one of my other bags and it is an easy detail to add in. There are six pockets inside, all five inches wide; but two depths, 4 inches and 6 inches. The pockets are stiffened to make them more substantial and are lined. I made larger more substantial handles out of cork. They are around 22 inches in length and are just over 1 inch wide. I used a button as a closure, but may experiment with other closures on other bags. The bottom of the bag, is also cork. Too pad the bag, I used this product. It's hard to see but it's more like foam, with the some sort of glue on the back (right of photo) that when ironed melts and sticks to the fabric. This product is ideal for bags, but I can't remember what it is called. I would use it again and will get the name of it when I am in the store again next month. Overall for my first attempt I am very happy. The first one we did was a centred zip. The we did a lapped zip. You do need a special invisible zip foot for your machine for this one. I just borrowed the one from the store. The lady at the store used this quilters tape so you could be more accurate with your stitching. I picked some up, as it will come in handy also for other things. We did talk about having a class that was designed more for zippers in household items rather than clothing. I would be interested in taking that if it comes up. Are you confidant when it comes to sewing zippers in items? I know these are the biggest I have even used..............10 mm needles that is.......I got them free in a magazine. Going to knit up a cushion cover, with the Bernat Blanket yarn and using one of the patterns from my afghan squares. Love this fabric, Full Bloom from Northcott. I bought it here, a lovely little store that ships as well. Every Wednesday they have an online sale of 20% off specific items. Excellent customer service, and very helpful. Loving the red cork I chose to go with it, can't wait to see it all done. I finished my afghan squares and have decided to do the same again in a teal green colour, so the finished afghan will be a lot bigger. I adore this mock cable pattern. Heading to a sewing class on how to sew in different types of zippers. Zippers are a weak point in my sewing, so every little bit helps! It's my Homemade Laundry Detergent post from 2008. You can read about it here. Between me and you, I have no idea what excites them the most? Do you? So I am going to hunker down again today (Sunday) and do some more knitting. I have no idea how I am going to make this work as an afghan, will figure it out I guess when I get the rest of the squares knit. If you are in Ontario, please stay safe. I am up too my eyes with SPAM comments at the moment. They are so annoying and so very pointless. Not feeling well again, so been sticking close to home. I picked up this book on the weekend, it's a good little book with easy to follow patterns. and again, twice, in plain old cotton. Each outfit is too make twice one for each of the N's. All Barbie's come in different sizes, so if in doubt make the biggest size. My model seem's to be very big "up top" if you know what I mean!! Got this in the mail........wonder what it is? I got a number of Chapters Indigo gift cards for my birthday and saw this online on sale, so thought I'd treat myself. "Hello, is this Mother Nature's answering machine?" "I just wanted to remind you that the calendar says it's Spring now? As when I look outside I see this?" "Yes that is snow coming down, not dandelion seeds. Not sure what is going on up there, but this week you have given us sun, gale force winds, freezing cold temperatures, thunder storms, rain, freezing rain, ice pellets and now snow. If you're trying to confuse me you're doing a great job. My poor spring bulbs, are in a right old dither, not sure if they should stay above ground, or dive back under the soil?" "I just wanted to let you know, I am over Winter; truly I am. All I want to see are some warmer temperatures, sun and the odd spring shower. As we all know Spring Showers, bring May flowers." We go to a fund raiser most years at an art gallery in Whitby called the Station Gallery. We have missed the past couple of years, but bought tickets for this year. It's a fun night and you come away with an original piece of art. They draw your number out of a tombola and you go up and pick your piece of art from what is left. You hope you are first to be chosen!! Been near the top and right down the bottom at these events. 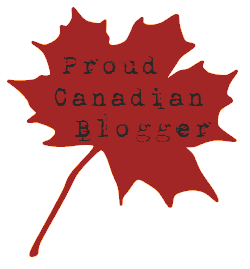 I thought I would share with you a link to the pieces of art that are up for grabs, here. I will say on my first run through the photos, I said "good lord," a few times 😕 but overall there are a few pieces I wouldn't mind bringing home. We are lucky as we don't like the "far out" type of art which a lot of people who go to the fundraiser do. So landscapes, florals and watercolours are my usual choices. Have a look and see if any say "I must take you home," to you. Meanwhile I will have another look through and see what catches my eye! I guess it's only April and we do live in Canada, but even so, do wish Spring would arrive!! Finally got around to taking some photos for you. I ended up purchasing a Husqvarna Sapphire 930 machine. The guy at the store was recommending the Sapphire 965Q, but that one was much too complicated for me and had more on it than I would use. As it is, I have no idea how to use most things on this one. All machines come with a set of classes to show you what everything does. The next set doesn't start until May; I will be up front and centre when they start that's for sure. I did get the larger sewing bed for free as a March promotion, so that saved me $120. Some of the neat features, include the scissors button which automatically cuts your thread for you! The fix button locks in your thread when you start. You can start and stop the machine without using your foot, just click that button. Foot up and foot down, and needle up and down, and you can slow the speed down. It also has an automatic threader, which I have already broken once........don't ask😕 However now that I have the hang of it, it is very handy!! As those needle holes are getting smaller and smaller if you ask me. This is the main screen to set stitches etc. This shows me what stitches I can choose from and on which menu they are on. Now that little beauty retails for around $16,000.00 Yes you read that right SIXTEEN THOUSAND DOLLARS. You can buy a car for that. 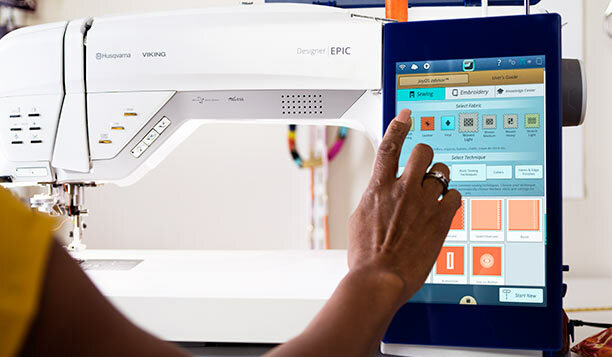 However if you're serious about sewing this is the machine to have. I like sewing but I'm not that serious. So there you go. Very happy with my purchase, will be even happier when I have had the classes to show me what's what.